There are few things that make you as happy as a big, fat stereo mix that sounds wider than your speakers. But do you know what happens when you pop that mix back to mono? Here’s the thing…mixing in mono is kinda like asking, “Does this dress make me look fat?”…and actually EXPECTING an answer. See, I’m convinced that some women don’t want you to answer the question, but some of them do. If you don’t want to know the answer to the question, don’t ask the question. And when it comes to mixing, if you don’t REALLY want to know if your mix sounds good, don’t listen to it in mono. Because I guarantee you that listening in mono will hurt your feelings at some point. That mix you think sounds amazing will sound muddy and boomy in mono. What does that mean? It means your mix is muddy and boomy, and you were just “hiding” it behind a wide stereo image. See, mono sits all the tracks on top of each other. There’s nowhere for them to go, because they’re all panned dead center. 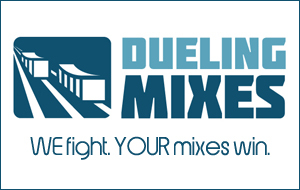 And this can expose all sorts of issues in your mix. Issues that you can then address. Issues that you can FIX. Fixes that will make your mix sound pheNOMenal when you flip it back to stereo. I’ll be honest, mono ain’t for the faint of heart. If you enjoy lying to yourself, stay away from the mono button. If, however, you really want to get better, and you want to know if your mix makes you look fat, then start making mono mixing a part of your regular routine. and join the Production Club. P.S. I’m extending my offer to the end of the month. So if you join the Production Club before the end of June 2012, I’ll give you one of my “Understanding” products for FREE. Just forward me your receipt.